For my trip to the Latvian capital city I decided for a Lufthansa flight via Frankfurt to Riga. 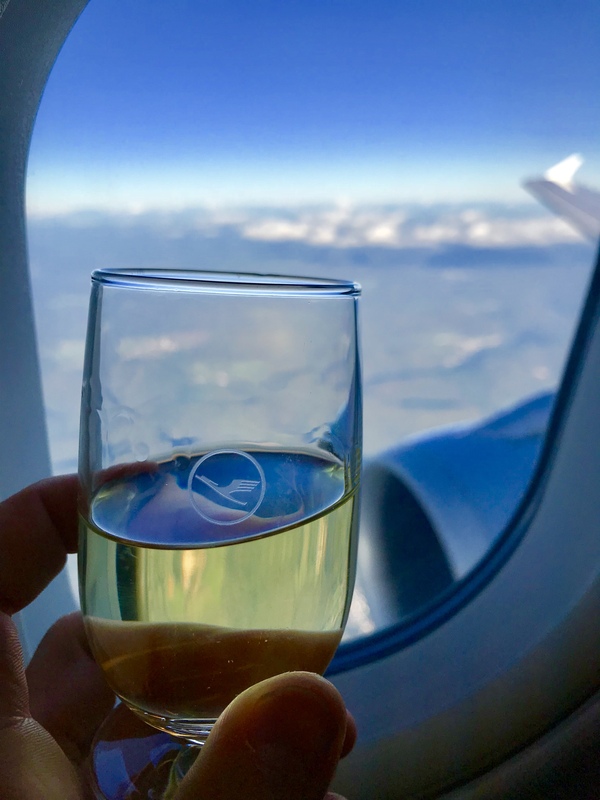 After I´ve flown to Prague in March 2017 in the Lufthansa Business Class, I was absolutely sure to repeat this extremely positive experience again. So I booked the outward flight to Riga in Business Class. 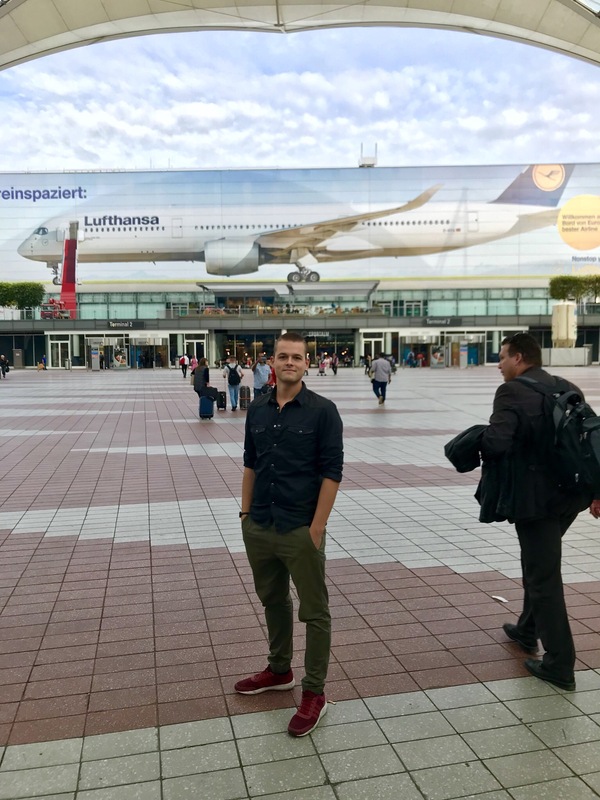 The 45-minutes flight to Frankfurt was operated by Lufthansa with an Airbus A321. 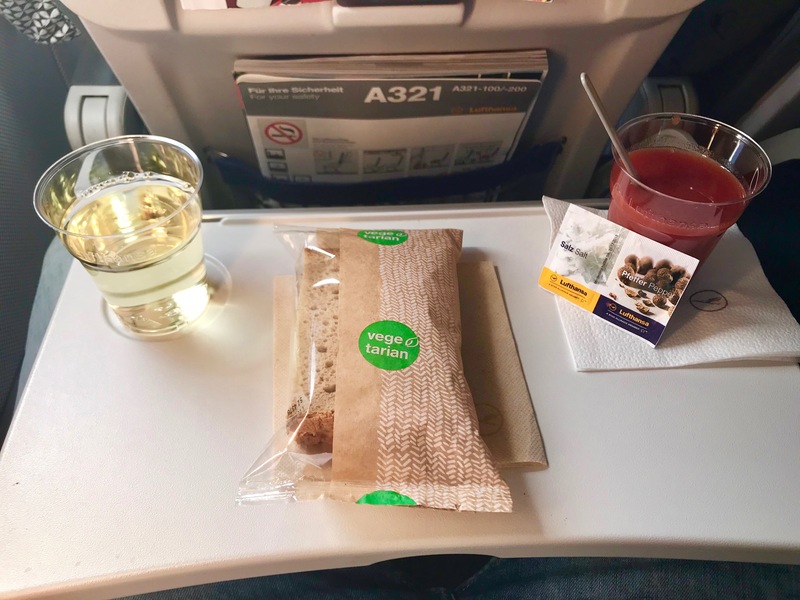 As on my previous flights to Fuerteventura or Lisbon, the A321 conviced my once again with ist spacious interior and pleasant flight behavior. More mileages for the Miles-and-More account (in my case 1250 bonus and status miles). 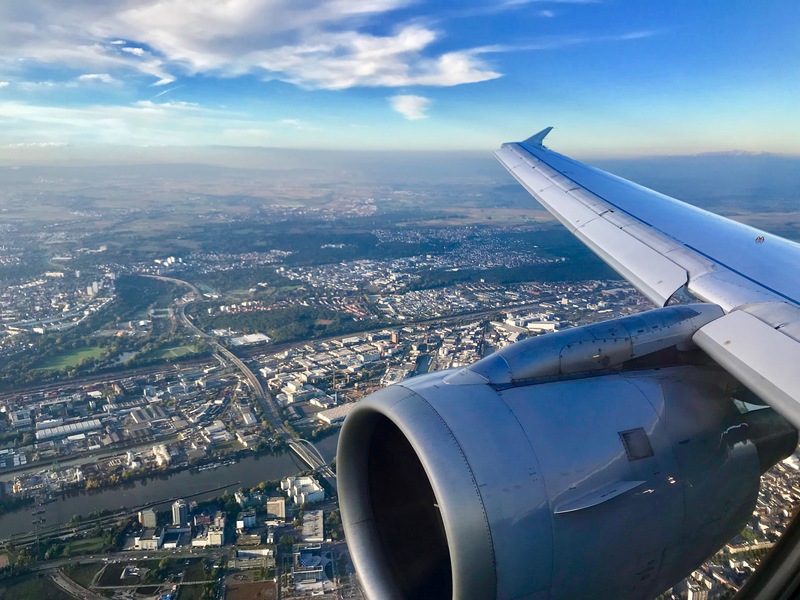 The 2-hour connecting flight from Frankfurt to Riga was also operated by Lufthansa in an Airbus A320. 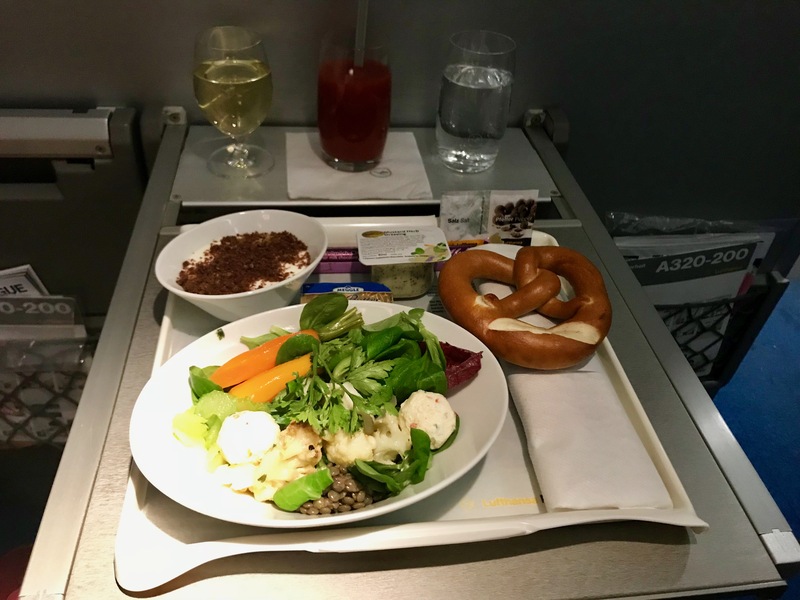 As a Business Class passenger I had access to the Business Lounge at Frankfurt Airport. So I was able to relax during the two-hour stay and enjoyed some delicacies from the various buffet. 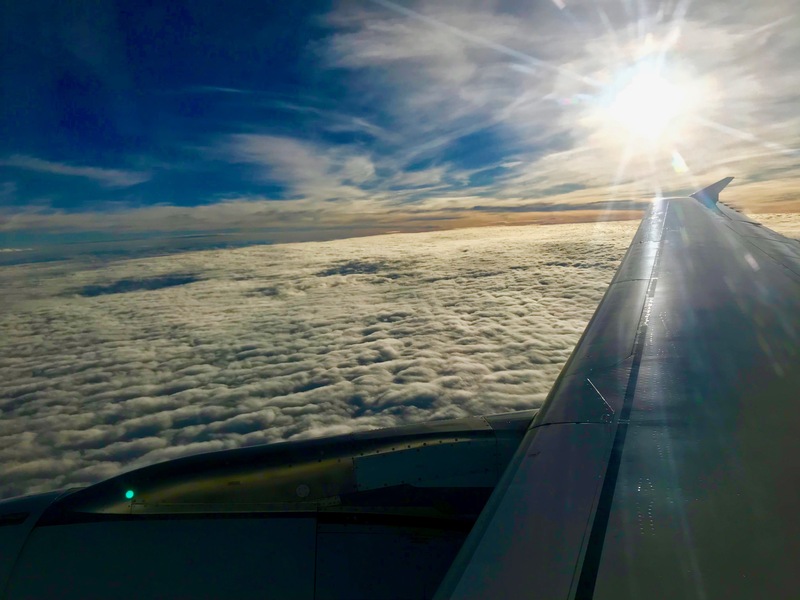 The flight itself was very quiet and the board service was absolutely exemplary – the Purser noticed, for example, that I ate a prezel with butter. Therefore he smiled and gave me another hot prezel with fresh butter with a smile on his lips – great! 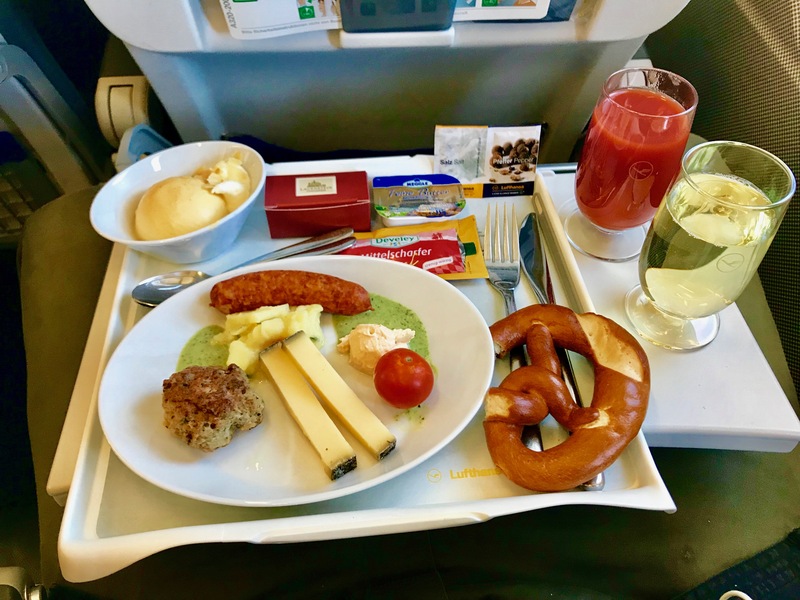 In general, you don´t have to be hungry for a moment in Business Class – both the portion size and the quality are very good. Various spirits, wines and soft drinks could be reordered at any time and were served in real glasses instead of plastic cups in economy class. Both return flights were operated by Lufthansa in an Airbus A321. As the board Service as the flights were very good and quiet; Some chilled Sandwiches were distributed.